The National Center for Public Policy Research has doubled down on its criticism of Apple's sustainability programs. In a blog post, NCPPR CEO Amy Ridenour suggested that Apple is "greenwashing" itself, or faking its commitment to sustainability, and she suggested that Apple CEO Tim Cook may have even faked his outrage and anger during Apple's annual shareholder report last Friday. Let me say right up front that Ms. Ridenour is wrong about Mr. Cook's reaction. As the guy who started the worldwide attention on Mr. Cook's angry response, I am supremely confident in my read on Mr. Cook and positive that for the first—and probably last—time, we saw an angry Tim Cook in semi-public. Tim Cook didn't get paid some $40 million in 2013 because he's an environmentalist, but he is more valuable to Apple when he plays one on TV. As such, Tim Cook's statement may simply have been public relations. He looked nice and green, standing there, indignant that someone might think one of the world's most successful companies should focus on... business success. So...Apple CEO Tim Cook, head of the world's most profitable technology company, is worth more to Apple when he's pretending to be an environmentalist. Ms. Ridenour doesn't explain how exactly this works, but she did trot out a series of straw men and false equivalencies that might make anyone who didn't actually consider her words believe that Apple is just faking the whole "green" thing. 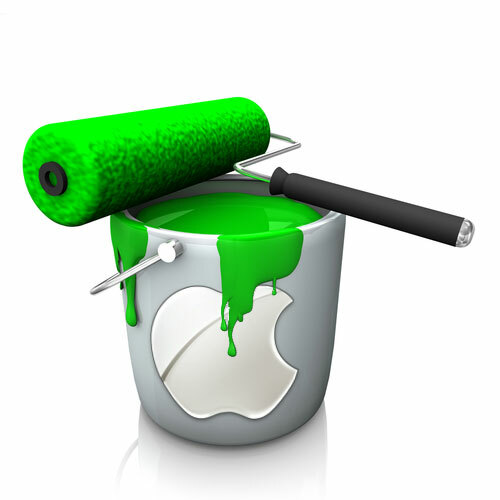 What constitutes a "green" company is subjective, but it is hard to imagine that Apple qualifies. Minimalist packaging is a big priority within the sustainability movement. Apple's packaging is beautiful, but not minimalist. This one is kind of weird, because Apple revolutionized PC packaging. Remember how PCs, or even an Apple Mac before Steve Jobs came back to Apple, were packaged. Multiple boxes within a large box, and sometimes, even two large boxes. Apple's packaging is the definition of minimalist in the world of technology. This is part of what Tim Cook meant when he said that sustainability is good for the bottom line, and it's likely part of why Apple has received praise from the hard-to-please Greenpeace. The article continues with the NCPPR questioning Apple's environmental bona fides. And then there's cap-and-trade. Apple was all for reducing U.S. carbon dioxide emissions through a cap-and-trade law. But Apple does a very substantial amount of its manufacturing in China, which would not have been subject to the law. Would the same be true for all current and future Apple competitors? This is a straw man argument, at best. Apple manufacturing most of its stuff in China doesn't nullify its position on cap and trade in the U.S. The company has substantial operations in the U.S., including growing manufacturing capabilities and existing component manufacturing. The NCPPR is trying to suggest that Apple is advocating for cap and trade only where it won't pay a price for any rising costs that may arrive as a result, but all of Apple's U.S. operations will be effected for good or for ill by cap and trade. I should also add that Apple has growing sustainability programs in place in China and Taiwan that exceed any local regulations, including programs to improve water recycling and waste disposal. These efforts run directly contrary to the idea that Apple is only green where it's convenient, and these efforts stand alone amongst Apple's competition. Apple is extremely good at looking green. This is what the famous environmental groups call "greenwashing." Why is Al Gore on its board? Because of his technology and innovation expertise or because he helps make Apple look green? Why did Apple hire the Obama Administration's scandal-plagued Environmental Protection Agency chief? Was it because executives who circumvent transparency laws are highly prized, or because hiring her helped make Apple look green? The NCPPR presents its argument with two negatives presented as an either/or, a logical fallacy known as a false dilemma. This is the equivalent to me asking an Android user, "Did you buy an Android device because you hate quality or you were concerned that Google didn't have enough access to your personal data?" Obviously there are additional possibilities. In the case of Apple, it's possible that Al Gore was added to Apple's board because he is an expert in environmental law, environmental technology, and environmental policy. All of those things have clearly been helpful to Apple in the last few years. He was also added to Apple's board under the late Steve Jobs, a man not known for adding window dressing to anything for any reason. The right's vendetta against Mr. Gore is...weird, and this includes the NCPPR's long-running campaign against the former vice president as an Apple shareholder. Continued with NCPPR criticisms about the lifespan of Apple devices. The Lifespan of Apple Devices - Do You Really Want to Go There? Apple's Mac computers and iOS devices have lifespans that far exceed the broader PC world, let alone the Android world in mobile devices. Despite this, the NCPPR attempts to paint Apple as a company that grinds out disposable devices, and that this is more evidence that Apple doesn't care about the environment. Observers should remind themselves that Apple manufactures devices that use a lot of energy and Apple works hard to assure that customers will want to replace them every few years, if not sooner. 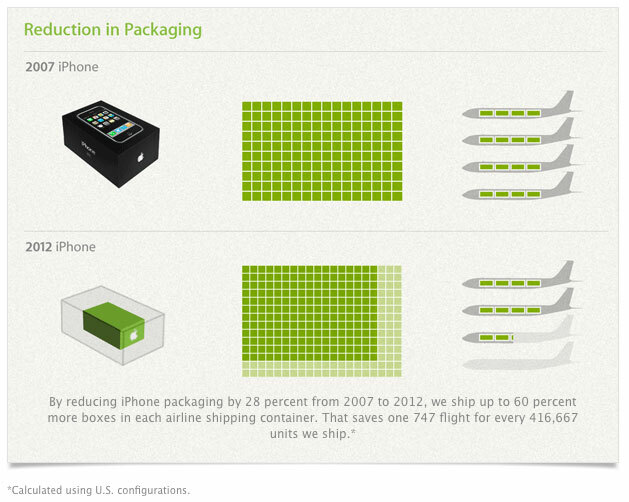 Apple's business plan includes making its products disposable. Is this a sustainability strategy, or a return-on-investment strategy? The above is one interpretation of reality, but here's another. Apple has worked harder than every other tech company on the planet to make its devices use less energy. Its mobile devices, for instance, have smaller batteries or get longer life from the same size battery than the generation before. Perhaps the NCPPR doesn't understand how hard that is, and how it's made possible by Apple's control over its hardware and software, and in its extensive involvement in working with its supply chain to develop best-in-class components. Apple's devices are also used far, far longer than anything made by its competitors. One of many reasons for that is Apple's support for legacy hardware with each new release of OS X and iOS. The NCPPR's statement suggests that Apple has callously exploited planned obsolescence to make older devices useless, but the exact opposite is true. My snide side wants to say that's yet another example of Apple faking it. As more fakery, Apple will let you mail in your device—including third party mobile devices—or take it into one of the company's hundreds of Apple Store locations. The article continues with my conclusions. Neither the National Center for Public Policy Research nor its top executives have any plans to sell our shares in Apple. We've been an Apple-only office since 1985 and do not intend to abandon the company in any respect despite CEO Tim Cook's invitation to do so. Cook does not have the authority to determine who is allowed to be a shareholder. Of course, Mr. Cook wasn't claiming or trying to assert such authority. The implied, but not directly stated, claim that he did is just another use of rhetorical shenanigans to misrepresent reality. Mr. Cook instead said that if the group wanted him to make decisions based solely on ROI, they "should get out of the stock." To me, it's a shame that the NCPPR falls back on such sloppy arguments. At the root of this entire tempest in a tea cup was their stated original goal of getting Apple to be more transparent about its membership in "certain" trade groups promoting green agendas. That goal—transparency—is laudable. More corporate transparency about almost everything would be good for consumers, society as a whole, and ultimately corporations, too. The problem is that the NCPPR isn't really interested in corporate transparency. What drives them is promoting their radical view of denying climate change and the idea that mankind could be responsible for climate change, and the equally radical view that publicly-owned businesses should pursue profits at the expense of...everything else. Fortunately, Apple is a company that thinks differently about such things. Apple has shown that doing so, that working to leave the places it does business better than when they got there, can be fabulously profitable, and that appears to drive Ms. Ridenour and the other people at the NCPPR nuts.